It’s been a tough few weeks for Castle fans. First, it was announced castmembers Stana Katic and Tamala Jones would be leaving the ABC series. Then, it was announced the drama had been cancelled after eight seasons. Star Nathan Fillion recently addressed the show’s cancellation on Twitter. Castle stars Fillion as the mystery novelist Richard Castle, who teams up with NYPD homicide detective Kate Beckett (Katic) to solve crimes. The season eight, and now series, finale of Castle airs on May 16th. What do you think? Are you a Castle fan? Are you sad it’s ending? 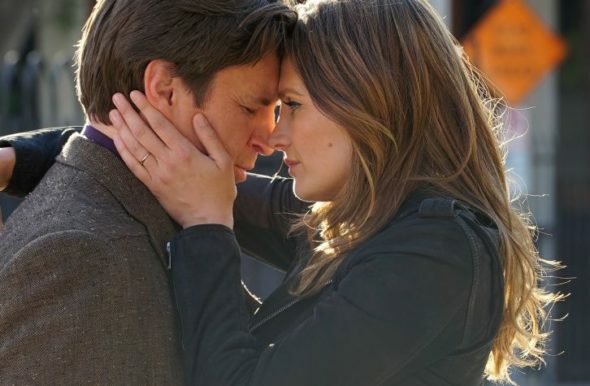 More about: ABC TV shows: canceled or renewed?, Castle, Castle: canceled or renewed? People at ABC simply didn’t have brains enough to recognize what a super show they had – WITH NOBODY KICKED OUT!!! !